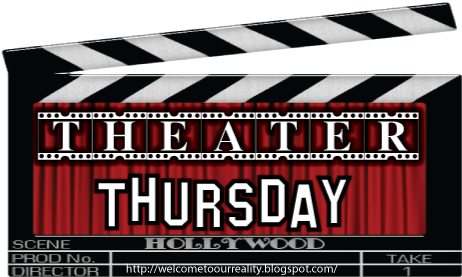 It's Thursday and that can only mean one thing... it's Theater Thursday! 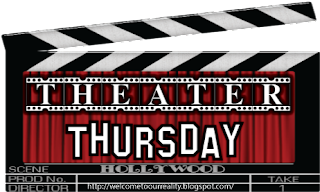 Sadly, this is the last Christmas Edition of Theater Thursday for this year. 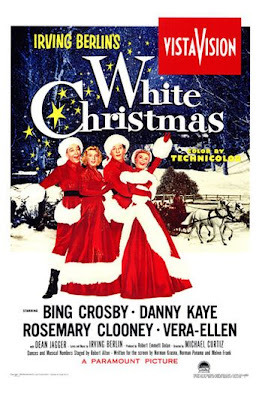 This week's featured movie is, White Christmas. 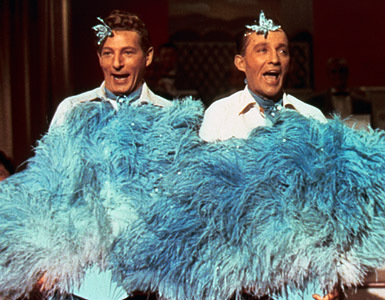 Made in the 1954, White Christmas continues to be one of the most classic Christmas movies. The over the top dance numbers performed by Vera Ellen, complex choreography and top notch vocals of Bing Crosby, Danny Kaye and Rosemary Clooney make this my favorite Christmas movie. Bob Wallace (Crosby) and Phil Davis (Kaye) meet while serving in the army during WWII. After an accident in which Phil saves Bob's life, he asks for a favor of joining forces in becoming a singing duo. Over the next few years, the pair become a huge success and have a large company. While out on the road, they go to view a sisters act, The Haynes Sisters. 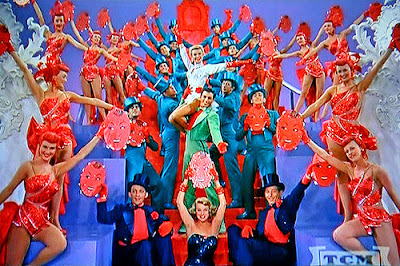 There they meet Betty (Clooney) and Judy (Ellen) and the two both become smitten with the sisters. Fate and a little pushing leads them to end up at the same Vermont inn where they begin a task that will not only feel their own hearts with the Christmas spirit but hundreds of others including an old army pal. If you've never seen this classic, it's a Christmas must. You must be so EXCITED!! Only 2 days to go!!! Wishing you a wonderful Christmas and New Year! The blogger above my comment made me check our local listings to see if our old theater was also playing the movie! They are!!!! I can't wait to go see it on the big screen! Glad you posted this! Will you be mad if I tell you I've never seen this? Would you believe I've NEVER seen this movie?